Heavenly Father, we pray again for Venezuela, where crises are reaching a boiling point. We specifically pray about the bridge connecting Venezuela to Colombia that has been blocked by the Venezuelan government, which is refusing to accept the aid scheduled to arrive there. With the massive food and medicine shortage, it is hard to imagine this country refusing to receive aid for its civilians, but we know political factors dominate. We do pray about the conflict between Venezuela's opposition leader and self-declared president Juan Guaido versus embattled President Nicolas Maduro. With major countries around the world backing Guaido and pledging millions of dollars in aid, Maduro is on very shaky ground. We pray for a peaceful resolution and for the best outcome possible for the people of Venezuela. We pray for Venezuela’s military leaders to exercise great wisdom and caution in the midst of this political showdown. Please be with the people of Venezuela as they continue to suffer and seek answers. In Jesus’ name we pray, amen. 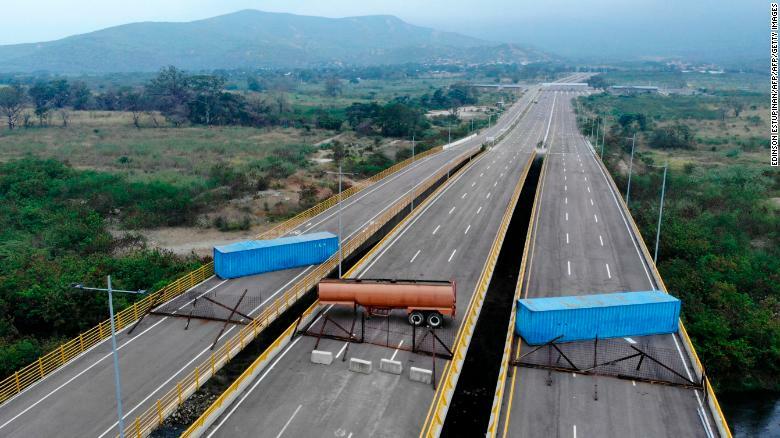 Significant update: https://www.reuters.com/article/us-venezuela-politics/two-killed-as-maduro-sends-troops-to-block-venezuela-aid-convoys-idUSKCN1QC091. Please keep praying for Venezuela!